Digital media network Smile Vun Group (SVG) has launched a digital data aggregation and analytics venture PrecisionMatch for India, Singapore and United Arab Emirates. Nitin Chowdhary, Business Head-PrecisionMatch, said SVG, a joint venture between Manish Vij’s Vun Network and Harish Bahl’s Smile Group, is investing $2 million in the company. 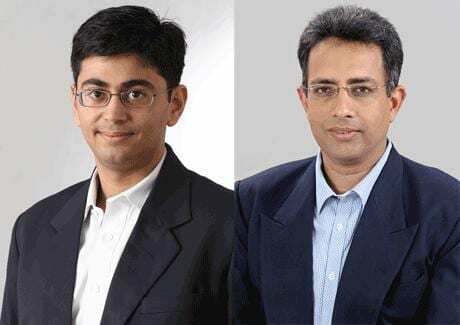 “With relevant data we want to make digital display advertisements as powerful as digital search advertisements,” said Manish Vij, who heads SVG, which runs Tyroo, SeventyNine, digital advertising agency Quasar and newly acquired online performance marketing company DGM India. PrecisionMatch has launched its operations simultaneously in three markets: India, South East Asia and UAE with 50 million unique users and around 60 per cent of internet users across India, Singapore and UAE across a variety of consumer segments. PrecisionMatch aggregates details of what internet users in various segments are looking for. The company will provide this information to advertisers and ad networks, like Komli Media. The advertisers in turn can target display advertisements to their focus segment. “Display advertising is losing the ROI race to search and social media due to lack of targeting options. PrecisionMatch will plug this gap in the display advertising eco-system – by enabling advertisers to achieve higher ROI by facilitating them to buy audiences rather than sites or placements, by enabling advertisers to attract new user traffic to their site and enhancing and aiding consumer’s online experience by showing them only relevant ads,” Nitin Chowdhary, Business Head, PrecisionMatch. “We have data mining tools that get the relevant information using cookies, but we do not aggregate any personal information of the user. We only look at what the user is browsing or searching for,” said PrecisionMatch’s Chowdhary. PrecisionMatch will use Adobe Audience Manager to analyze the online behavior of consumers. Adobe will not only provide PrecisionMatch with technology but will also integrate it as a part of Adobe’s partner eco-system to deliver a complete digital solution to their customers in the region. The company is targeting a multi-million dollar market. A study by Forrester predicted that advertising spend will grow to $77 billion by 2016 on interactive marketing. Together, search marketing, display advertising, mobile marketing, email marketing and social media will grow to 35% of all advertising spend. “Data targeted display can improve click through rate by 300 per cent and post click engagement by 200 per cent. In addition, the relevance of the audience improves significantly,” added Chowdhary. Vij put the digital advertising market in India, Singapore and UAE at $1.5 billion, with display accounting for around $800 million. The company will get a fee from the advertisers. This fee will in turn be split between PrecisionMatch and online publishers, like websites and blogs, where the ads are displayed and from which the data is aggregated. With PrecisionMatch advertisers can extract and utilize data across categories such as Auto, Handsets, Online Buyers, Travel, Technology etc. At present, PrecisionMatch has audience data on different consumer segments across the 3 markets–India, smartphone and SUV buyers in India, Singapore holiday seekers and UAE- Auto enthusiasts and buyers. The company has already run pilot campaigns with brands like Samsung, Ford, Tata Motors, general Motors and Expedia. The company will initially focus on auto, retail, technology and mobile segments before expanding to other categories. “Over 50% of the web inventory globally is already on exchanges and this trend is accelerating. In APAC, it is estimated to be 5-10 per cent and is rising rapidly. Additionally, in APAC, that has about $700 million of display advertising spend, the supply of inventory outstrips the demand by at least 5 times. In such a scenario, buying the right impression is critical to drive ROI for which advertisers will need quality audience data. PrecisionMatch is our resolution to make display advertising more effective in APAC and UAE by means of targeting data without destroying the ROI.” said Manish Vij, Founder, Smile Vun Group.